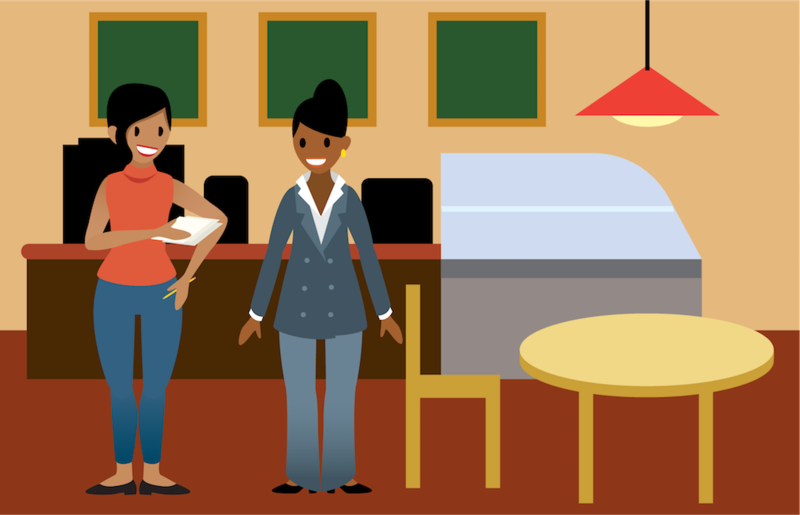 Before building a report, the trick is to take that question, ask follow-up questions, write requirements, and then map those requirements to report criteria. Take the story of Maria Jimenez, the admin at Ursa Major Solar. One day her CEO, Sita Nagappan-Alvarez, came to her with questions about how the business was doing; specifically, she wanted to know which products were top sellers. Maria took Sita’s original question, and followed up with some clarifying questions. Sita’s Original Question Which products are my top sellers? The point is, most people at your company will come to you with questions just like the one Sita asked Maria. Here are some typical questions people at Ursa Major Solar ask Maria. Lincoln Ulrich, an account executive planning the day’s calls, asks which prospects his team should contact first. Roberto Alvarez, the COO, analyzing deflection rate month-over-month since rolling out that self-service community last summer, asks for cases over the past year. Sita, the CEO, busily crafting the company’s annual plan, and making decisions about where to take the company next, asks which cities have the most leads. 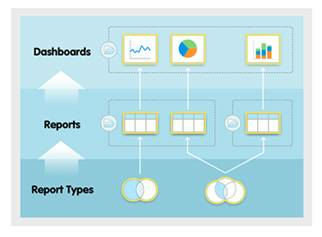 Read on to learn how to get started with reports and dashboards for your company. And, if you like videos, check out this reports and dashboards overview video. In its simplest form, a report is a list of records (like opportunities or accounts) that meet the criteria you define. But reports are much more than simple lists. To get the data you need, you can filter, group, and do math on records. You can even display them graphically in a chart! Filtered to show only Closed Won opportunities for “active” products from this financial year. Summed the total number sold. Displayed the results in a vertical bar chart, so Sita could easily see the results. This sort of advanced analysis is one reason why reports are Maria’s go-to tool when she has questions about her business. Everyone at Ursa Major Solar loves Maria’s reports! Every report is stored in a folder. Report folders determine how reports are accessed, and who can access them to view, edit, or manage. Folders can be public, hidden, or shared. You control who has access to the contents of the folder based on roles, permissions, public groups, territories, and license types. You can make a folder available to your entire organization, or make it private so that only the owner has access. A dashboard is a visual display of key metrics and trends for records in your org. The relationship between a dashboard component and report is 1:1; for each dashboard component, there is a single source report. However, you can use the same report in multiple dashboard components on a single dashboard (for example, use the same report in both a bar chart and pie chart). You can display multiple dashboard components on a single dashboard page, creating a powerful visual display and a way to consume multiple reports that often have a common theme, like sales performance or customer support. Like reports, dashboards are stored in folders, which control who has access. If you have access to a folder, you can view its dashboards. However, to view the dashboard components, you need access to the underlying reports as well. A report type is like a template that makes reporting easier. The report type determines which fields and records are available for use when creating a report. This is based on the relationships between a primary object and its related objects. For example, with the ‘Contacts & Accounts’ report type, ‘Contacts’ is the primary object and ‘Accounts’ is the related object. For example, say Lincoln mentions Maria on Chatter to ask which cities have the most leads. Maria can find out by creating a leads report based on the Leads standard report type. But if Lincoln only wants Leads that have Activities, then the Leads standard report type doesn’t quite do the trick, because it returns all Leads (both with and without Activities). This doesn’t worry Maria, though! She knows that she can create a custom report type named Leads with Activities that uses Leads as the primary object and Activities as the related object, which only returns Leads with Activities. Then, all she has to do is create a report based on her new Leads with Activities report type.